Date: May 4 2019, 8:30 a.m. - 1:30 p.m. 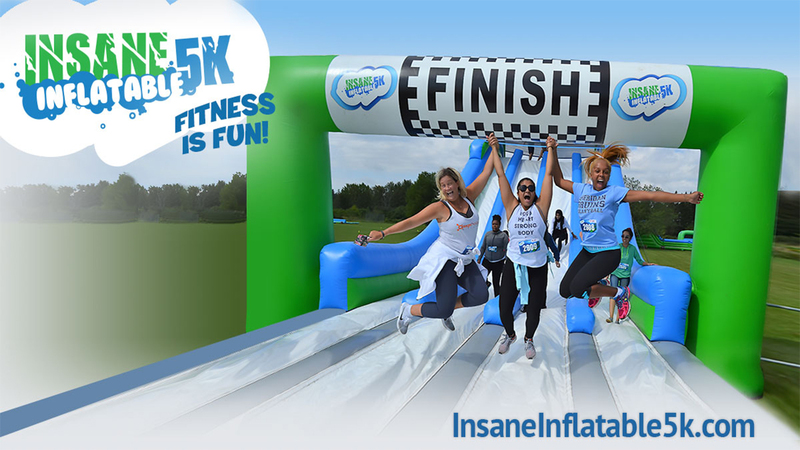 Bounce your way through this insanely fun 5K! Located at Hunter Army Airfield's Sabre Hall, participants will enjoy 3.1 miles of 11 insane inflatables proving that fitness can be SO much fun! New in 2019: Krazy Kids Inflatable Fun Run! This 1 mile run is geared toward ages 5-11 ensures that all ages can get in on all the bouncy fun! After the race, stick around to enjoy food vendors and information tables during the Hunter Army Airfield Open House! On-post agencies will be on hand to share information on the many activities that are open to the public on FS/HAAF such as bowling, golf and clubs & catering. DES will also be on-hand to process background checks and issue ID cards to those who would like to apply for the MWR Annual Access Pass! During the event, the Rio Road gate will be open to Non-Military ID cardholders for ease of access to race and open house. Pets are prohibited during event.